It all starts with a good grill. 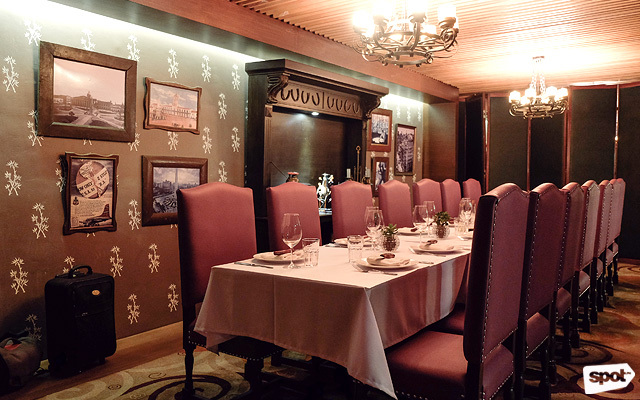 Open daily from 11:30 a.m. to 3 p.m. and 5:30 p.m. to 11 p.m.
La Cabrera has private rooms for more intimate occasions. “When an Argentinian builds a house, you build the grill first and then you build the house around it,” adds Lorenzana. 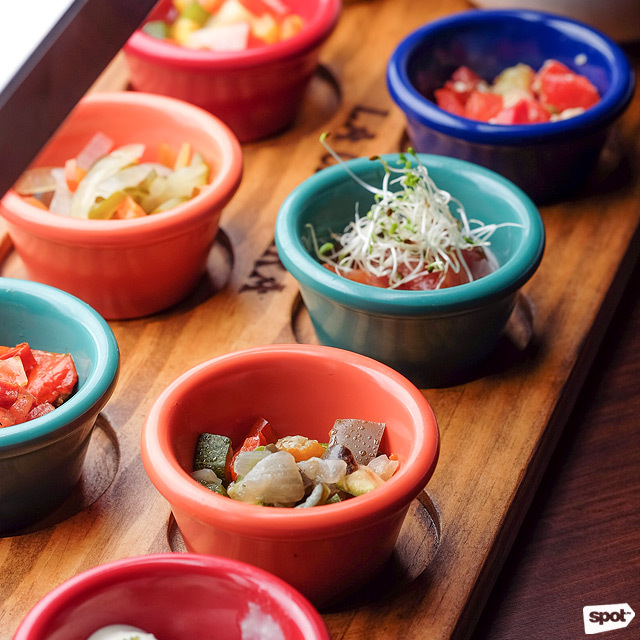 Like any parilla, La Cabrera takes great pride in their grill. 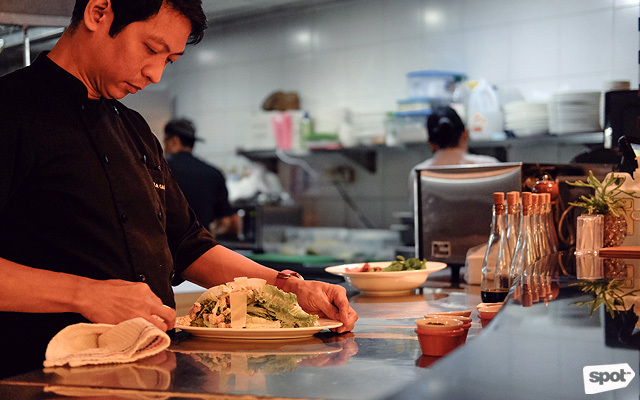 Though Lorenzana hesitates to share trade secrets, he shares that the grill is custom-made for La Cabrera per their specifications. 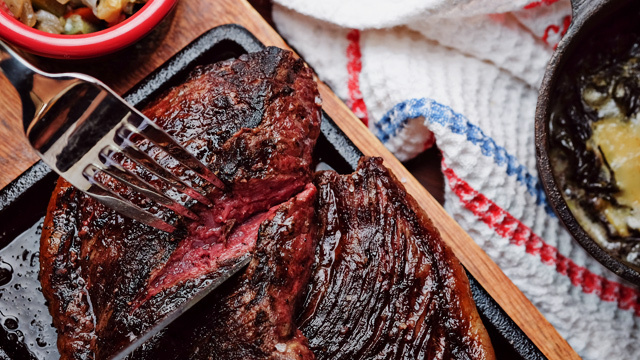 This meticulousness is important because Argentinian steaks are grilled without any prior aging or marinade, and are only seasoned with salt—if the beef isn’t of the best quality or if it isn’t seared properly, it will show. 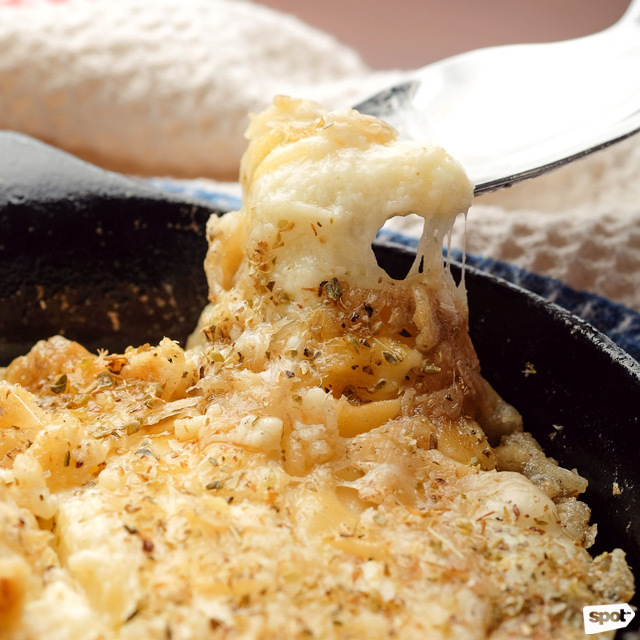 Start your meal with the Provoleta (P890) or grilled Provolone cheese. 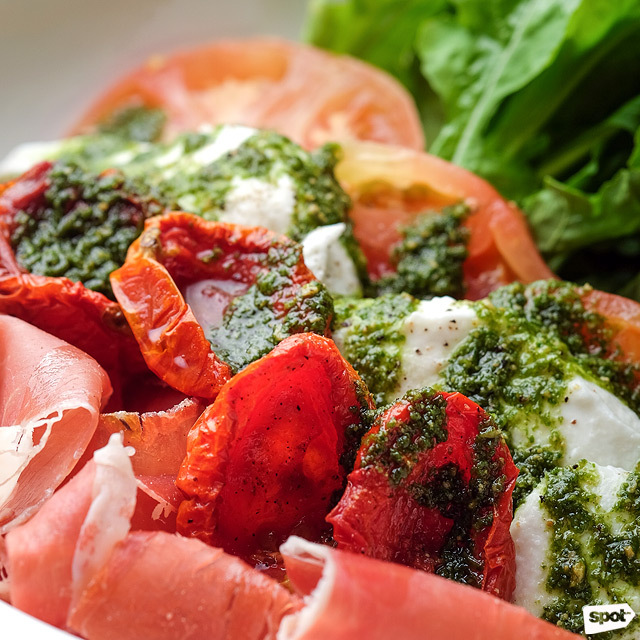 If you love Italian-inspired flavors, have the Jamon Crudo con Mozzarella, Albahaca, Tomates Secos y Rucula (P500/half-order, P950/whole) with parma ham and arugula. 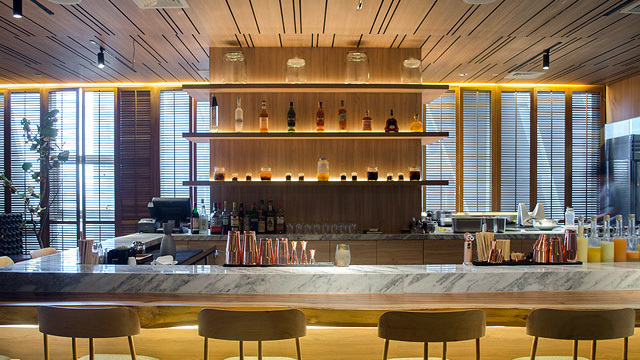 All steaks come with unlimited side dishes, both warm and cold. The Asado del Centro or Beef Short Ribs is surprisingly tender. You won’t have to worry about that at all at La Cabrera. 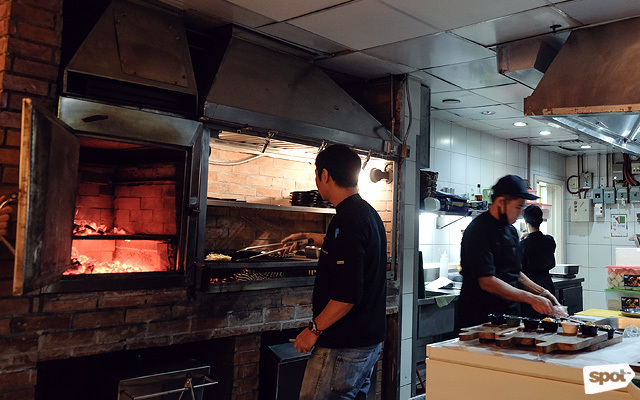 They’re confident enough in their grilling capabilities to highlight cuts of beef that aren’t showcased by your typical steakhouse but are traditional to Argentina. 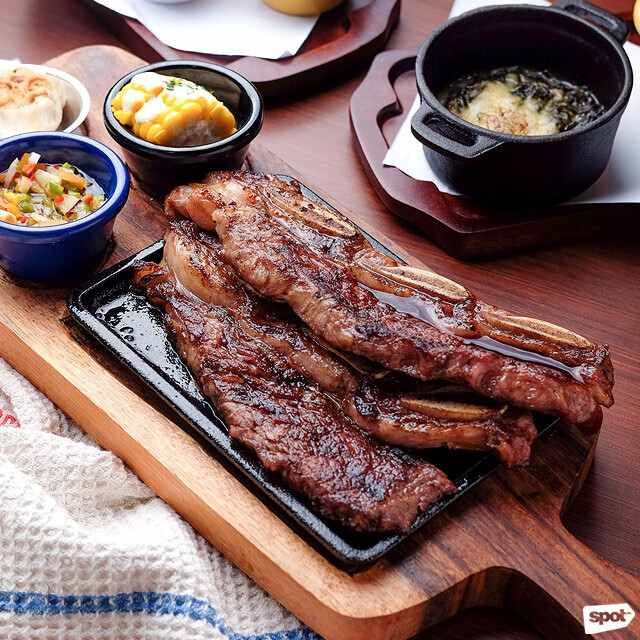 Take the Asado del Centro (P2,680/500 grams) or beef short ribs for example. Short ribs have the reputation of being gummy unless braised for long periods, but at La Cabrera, a proper sear at the grill makes them tender, with an intense salty-charred flavor. The flavorful Cuadril is rumored to be the Pope's favorite. The Cuadril (P3,280) or the rump steak is also often overlooked—though Lorenzana shares that the cut is rumored to be the favorite of Pope Francis. 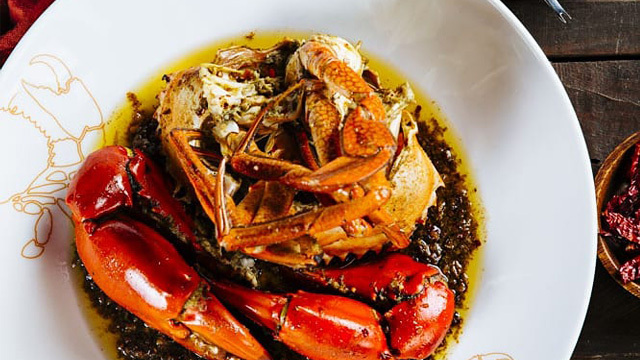 We can see why; those looking for a bolder char and saltier bite should opt for this cut. 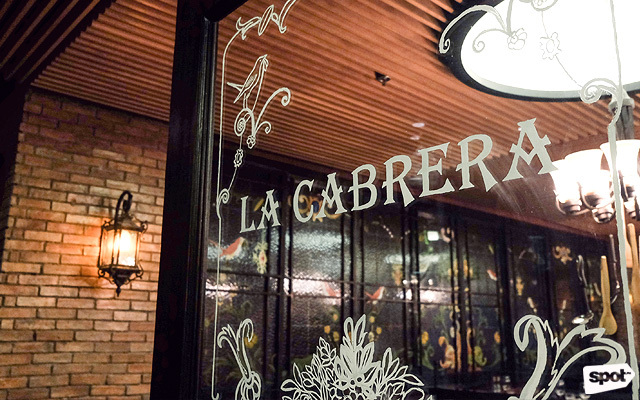 La Cabrera also offers more popular cuts like the Ojo de Bife or rib-eye, which uses USDA-certified beef. 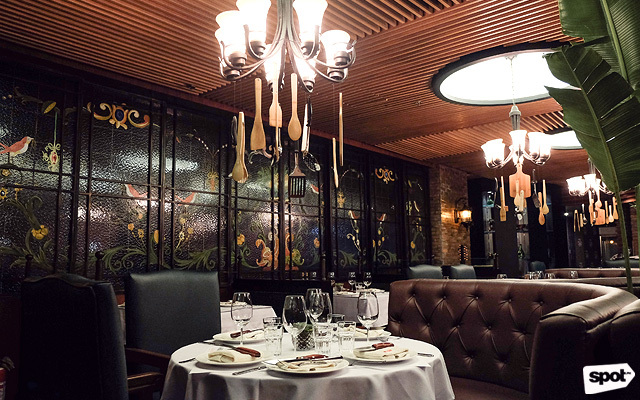 La Cabrera also does the more popular cuts of steak—and does them excellently. 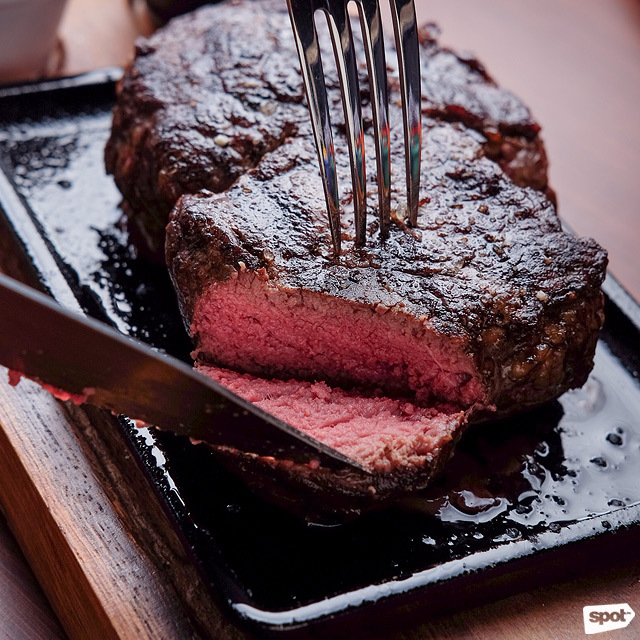 Even though they’ve only been open for a few weeks, the Ojo de Bife (P3,480/500 grams, P4,995/800 grams) or rib-eye is already a bestseller. Spending just the right amount of time on the grill, the steak retains its natural beefy juices, making each forkful mouthwatering. 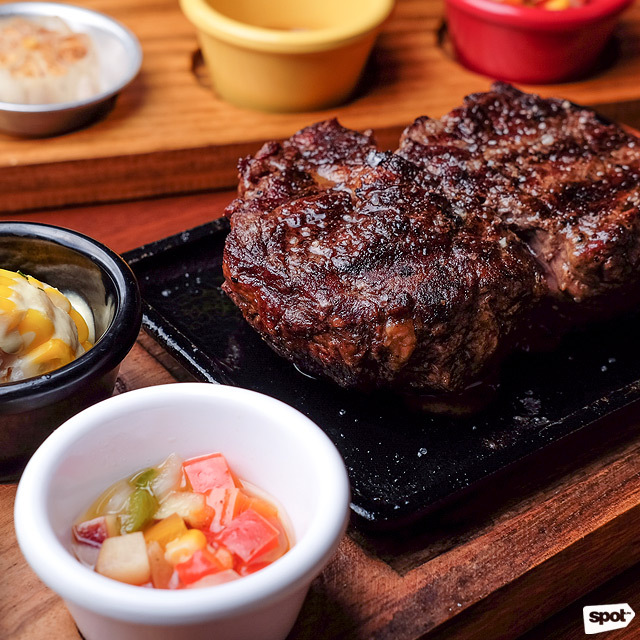 La Cabrera also offers a 15-day wet-aged rib-eye, the Ojo de Bife 15 Dias (P3,880/500 grams) for those who prefer a stronger savory flavor. 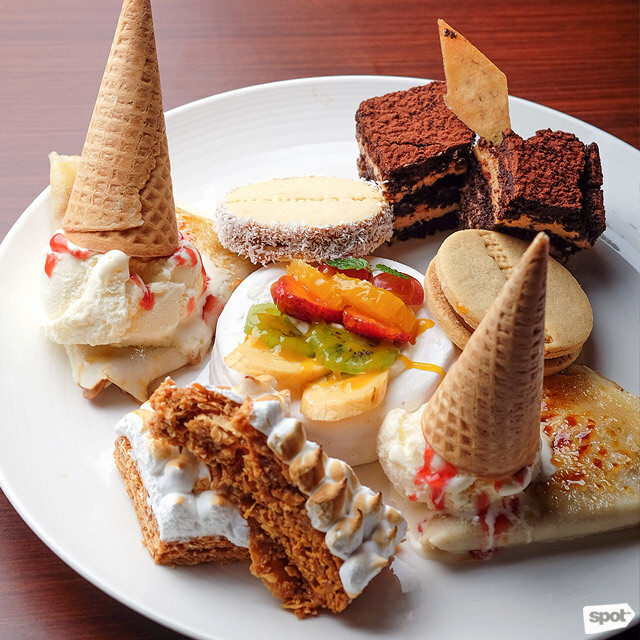 End your meal with the Degustacion (P995), which has all the good stuff: Alfajores, pavlova, chocotorta, and more. 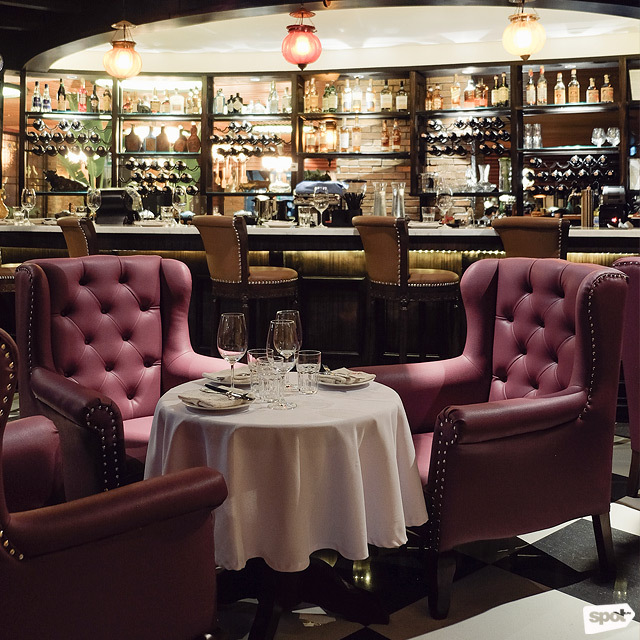 But La Cabrera's primary goal is to ease Manila in to the Argentinian way of steak. They’re surely on the right path; give it some time and the Cuadril could very well become your new favorite cut of steak.